Original style blade. See GWB215 for a more modern construction blade. The connector on the blade is fixed and does not rock/swivel. TR2 AV ACCESSORIES: SPAT COVERS, 2 SPEED WIPERS, UNDERSHIELD, REAR SEAT, HARD TOP ETC. AV44 Blade, windscreen wiper-R.H.S. TR2 AV ACCESSORIES: SPAT COVERS, 2 SPEED WIPERS, UNDERSHIELD, REAR SEAT, HARD TOP ETC. 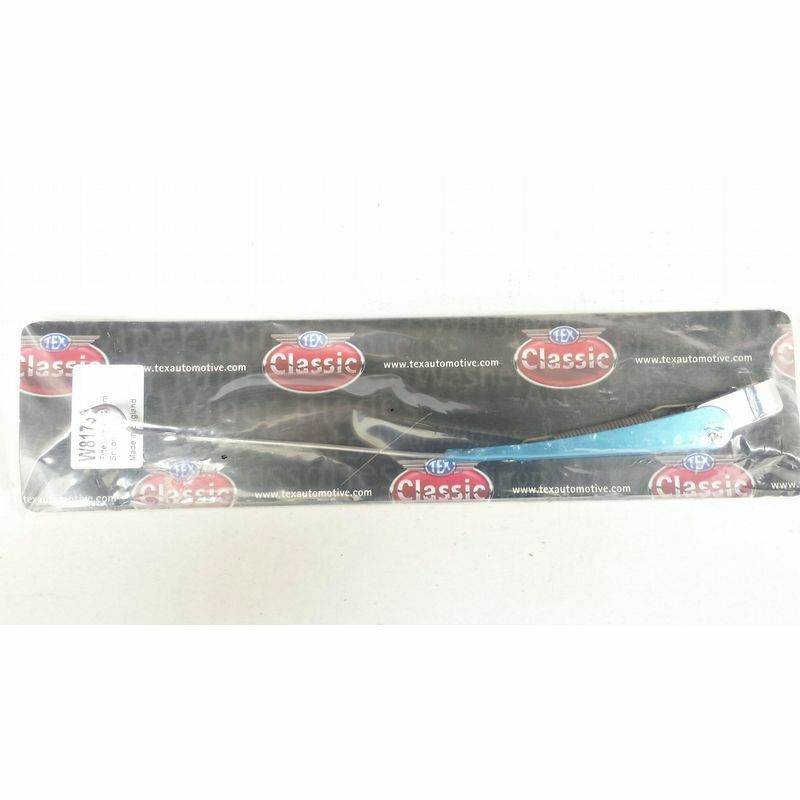 AV46 Blade Windscreen wiper-L.H.S. TR3 AV ACCESSORIES: SPAT COVERS, 2 SPEED WIPERS, UNDERSHIELD, REAR SEAT, HARD TOP ETC. AV44 Blade, windscreen wiper-R.H.S. TR3 AV ACCESSORIES: SPAT COVERS, 2 SPEED WIPERS, UNDERSHIELD, REAR SEAT, HARD TOP ETC. 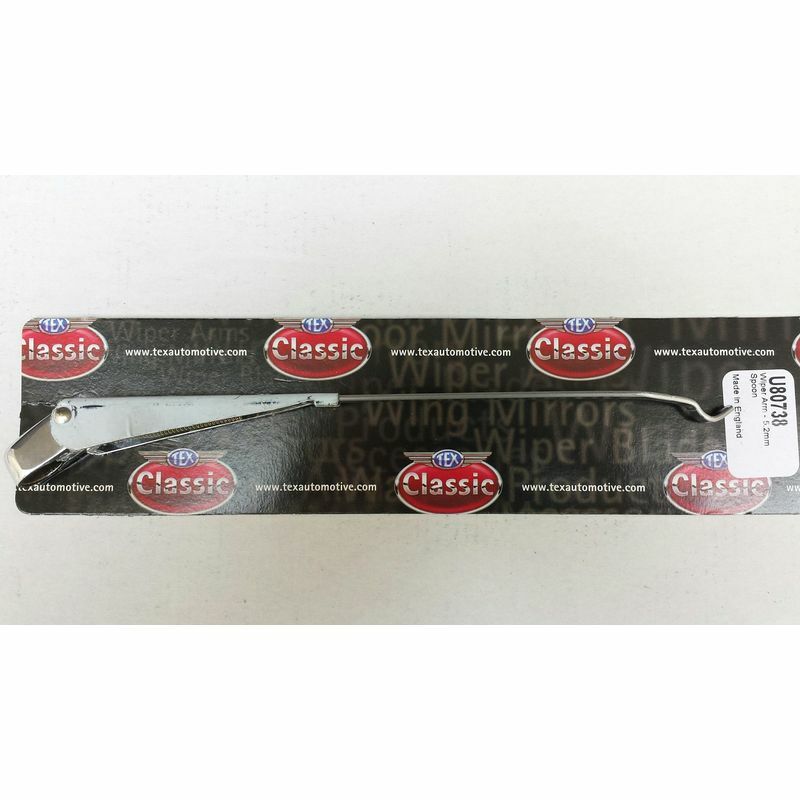 AV46 Blade Windscreen wiper-L.H.S. Revington TR information: Consider improved part 114488X or second hand part 114488SH. Revington TR information: TR3A Heavy duty wiper arm. Wedgelok type.